Hypnosis for pain control. Do you suffer chronic pain, and often find yourself falling into the trap of thinking, “there’s nothing I can do to make this better?” First, have you tried different treatment methods? Even more so, seen poor results. Even felt worse off afterwards? 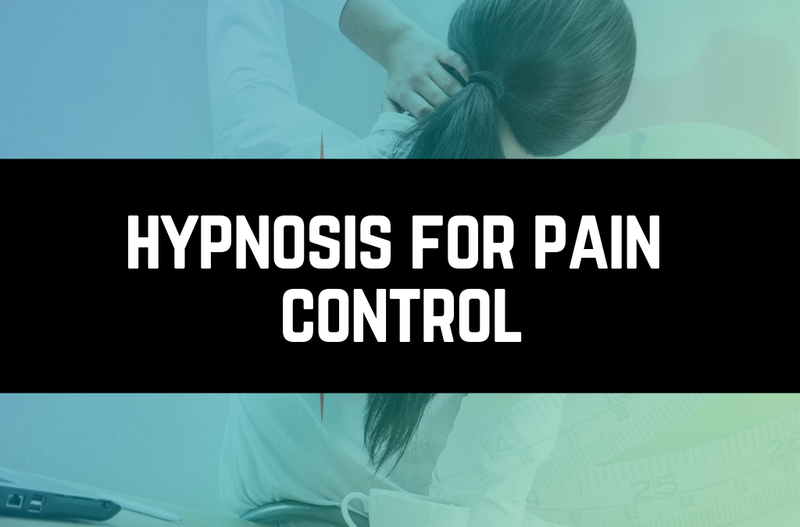 Especially, if you find yourself at wits end with your pain, it’s time for you to consider hypnosis for pain management. Moreover, more and more people are starting to ask if hypnotherapy really works to treat chronic pain, and the answer is YES! NE Hypnosis can help. What are Chronic and Acute Pain? Chronic pain is defined as any pain that lasts longer than 12 weeks. Certainly, it may be the result of an injury, such as a sprain, fracture, or even a brain injury. In the same way, may come about as a result of a chronic illness. It may even be a symptom of psychological disorders like depression or PTSD. In fact, one in every four Americans (over 76 million people) currently suffers from chronic pain. Unsurprisingly, it is the top reason for which Americans access the health care system. Medication is the most commonly used treatment for chronic pain. Some sufferers may find over-the-counter medications like Advil to help. Meanwhile, anyone who visits a doctor for their pain is likely to get prescribed a more intense medication. Acetaminophen, antidepressants, anti-seizure medications, and opioids like Vicodin, Oxycodone, codeine, morphine, and fentanyl are among the most commonly prescribed. Unfortunately, all of these have very common and significant side effects. Examples such as, from weight gain (anticonvulsants), sedation (antidepressants), to liver failure (acetaminophen), and life-threatening addiction (opioids). Although the US Center for Disease Control strongly discourages prescription of opioids as a long-term pain treatment. They are still relatively easy to get a hold of. Often, it is to do the detriment of the patient. Certainly, they have a similar chemical makeup to heroin, which makes them very habit forming. Quite scarily, this makes heroin an alternative that some seek if they can no longer afford prescription opiates. Even, they could have built up a tolerance to the opiates, making them no longer useful to treat the pain. To sum things up, prescription pain medication, though very common and accessible, is likely to do more harm than good. According to a survey from the American Academy of Pain Medicine, prescription drugs for pain treatment only take noticeable effect in 58% of patients. In addition, nerve-stimulating patches placed on the area of the pain to overwhelm it with a more positive sensation. Although these methods are much less dangerous than medications, they can be quite expensive. Finally, if you are willing and able to pay that much for your pain treatment, methods like this are best used in conjunction with hypnotherapy. Fallback of conventional pain treatments is especially challenging to treat pain in children. However, often have trouble accurately and acutely describing what they are feeling. It can potentially be very dangerous for children to take prescription pain medication. Especially opiates, when there is no certainty as to how their bodies will react. Even just keeping prescription pain medicine in a household with children and teens is potentially risky, as they are commonly misused and abused. Young people, whose developing brains are predisposed to experimentation, can easily fall victim to the negative effects of opioids tenfold. What Exactly can Hypnosis Treat? A meta-analysis (a study of studies) from 2000 revealed that across 18 different scientific studies of hypnosis as a pain treatment. Even more so, 75% of patients saw significant results from hypnotherapy. Virtually all studies yield similar results. 25% who do not see their pain improve after hypnosis are typically those who aren’t receptive to hypnosis in the first place. This form of acute treatment, referred to as hypno-analgesia. It has been used successfully in hospitals, dental offices, clinics, and various types of emergency care facilities. However, hypnotic analgesia to treat chronic pain can take place anywhere. Certainly, it is in the comfort of your own home and can take effect no matter how long the patient has been suffering. And these lists include nowhere near everything that hypnosis can treat! Even if the condition bringing on your chronic or acute pain is rare, hypnotherapy can still be a useful treatment. Not only does hypnosis lessen the need for analgesics and can potentially save you money and time in your treatment. Instead, it is more effective than other treatments because it gives you power over your own body. When you are “put under” by your hypnotherapist, you are in a trance-like state in which your subconscious mind is open to suggestion. As a result, when you “awake,” you will be more motivated to follow whatever instructions your hypnotherapist has given to you. Finally, to treat your pain, and your thoughts will be more positive about your ability to finally feel better. First, your hypnotherapist may use any combination of these techniques while you are “under,” depending on your personal situation. Second, it’s what you feel are the most important steps for healing. Hypnosis will only work for you if you are able to keep your mind open to suggestion. Luckily, 75% of those who try hypnosis find that they are “hypnotizable,”. We are able to be influenced by their therapist’s instructions and conditioning when put under the trance-like state. Even if you’ve never been hypnotized before, if you feel that you are “open-minded” enough for it to work, there is no harm in trying it! Hypnosis is not a magical cure-all: if there are steps that you need to take to minimize your pain. As well as, it will not be able to take them for you, but it will certainly make you more optimistic, motivate you, and help you get your priorities in check. It is proven to work as well or better than other treatments! If you know that you have it in you to better your body by bettering your thoughts, then hypnosis is the solution to your chronic pain. The first step to healing is belief in your ability to do it! Trust the process, keep an open mind, make the choices you know to be right, and wellness will follow. 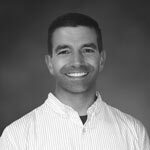 If you want to learn more about using hypnosis for pain management, contact us through our website. We can also be reached via email at info@NEhypnosis.com.